They let you save space and fit more onto a page. The only problem with two-column resume templates? There are so many of them to choose from that it’s hard to pick a really great one. Here’s the thing: we’ve done the job for you. 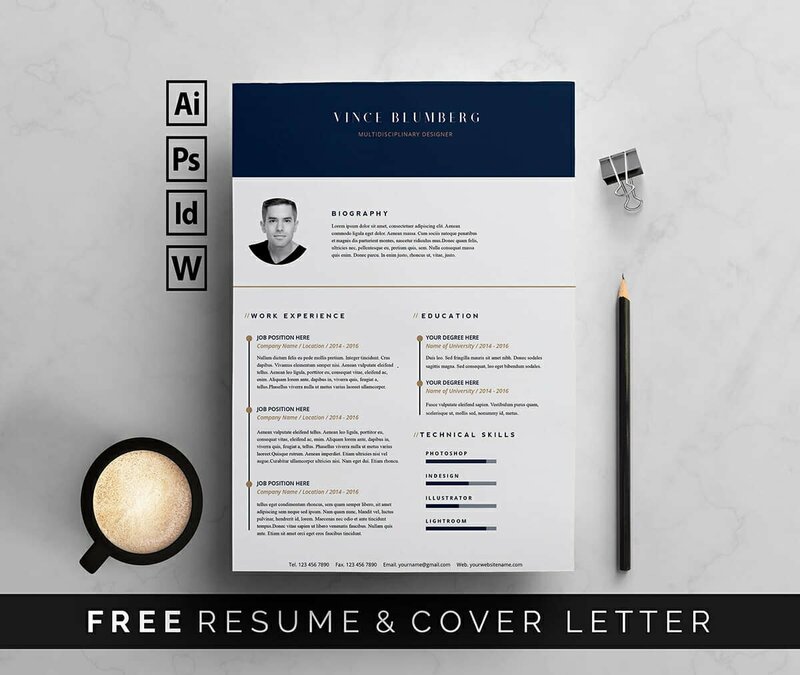 We’ve screened over 400 resume templates from various design websites, to present you a gallery of only the best of the best (free templates included!). Scroll down to see beautiful templates and pick a two-column resume that fits your style and taste! Should you use a one- or a two-column resume? Two-column resumes help group certain pieces of information in a side column: your contact information, technical skills, or languages. They are easy to read for recruiters because all sections are clearly separated from one another. Also, they prevent lengthy single lines that span across the whole width of a resume. Most two-column resume templates are easily adjustable—you can decide which sections you move to the side column and which ones you want to highlight in the central part. 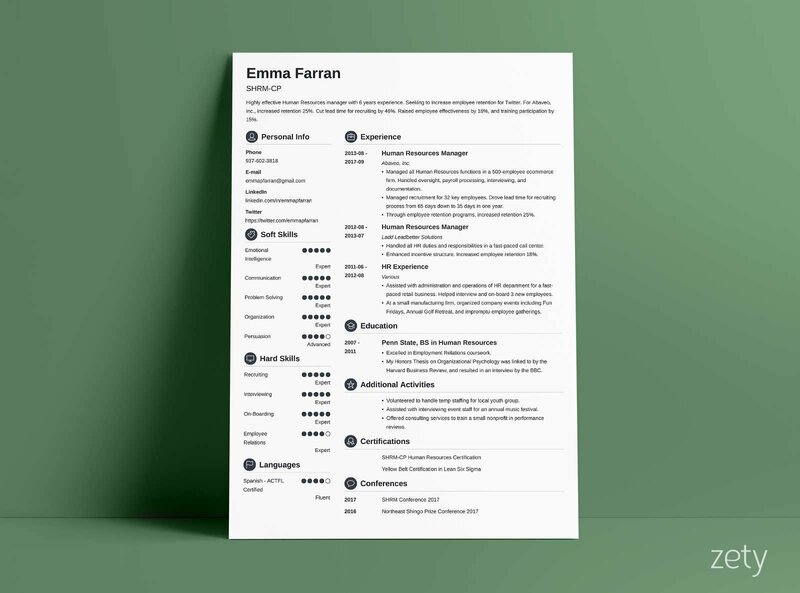 Two-column resumes let you save space and transform an otherwise two-page resume into a single-page one. It might not pass through some older Applicant Tracking Systems (ATS). You’ll have to go the extra mile to get your formatting right so that it doesn’t annoy those little bots. Note: we can’t guarantee that all resume templates in the gallery below have been optimized to pass ATS scans. Those available in our builder are fully ATS-friendly, though. Want to save time and have your two-column resume ready in 5 minutes? Try our resume builder. It’s fast and easy to use. Plus, you'll get tips and right vs. wrong examples while writing your resume. See 20+ resume templates and create your resume here. Two-column resume template example. See 20+ templates and create your resume here. 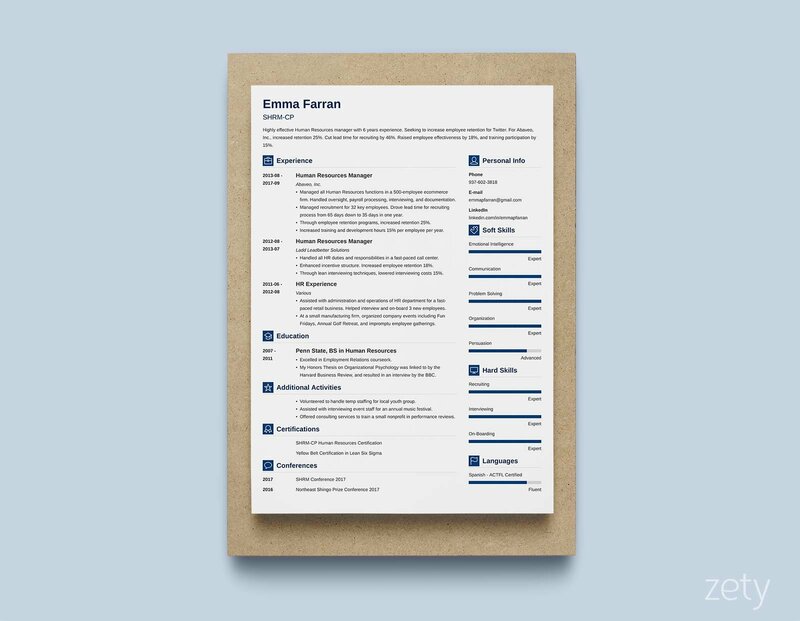 One of our proudest two-column resume templates here at Zety. A column on the left for your personal information and skills helps you save space while making recruiters pay attention to what matters. And check out the subtle shading differences in the side bar combined with distinct black and white text for readability. 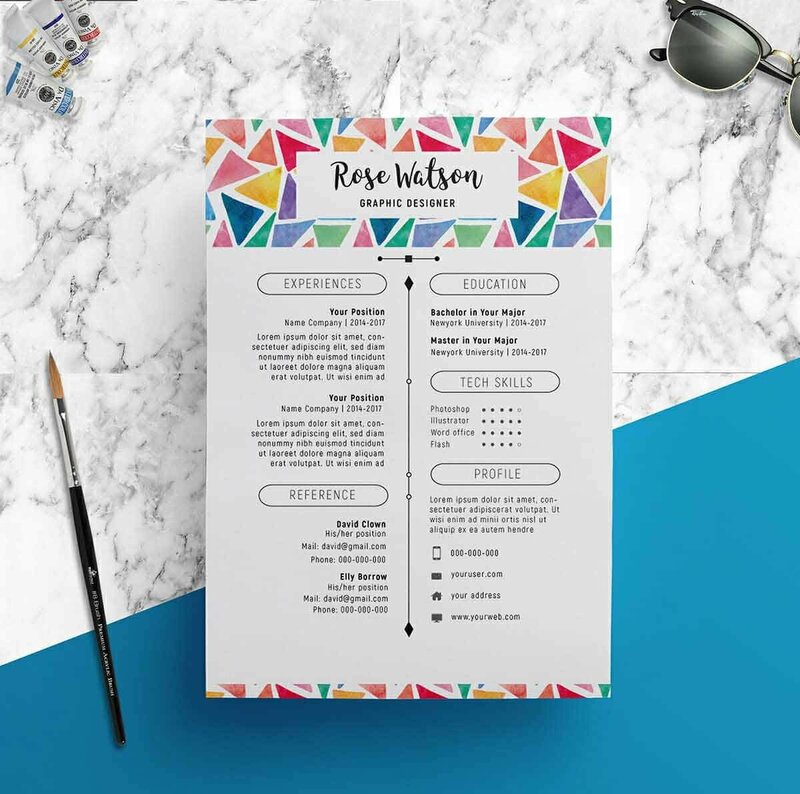 The “Clean Resume” available at Creative Market gives a direct proof that even two-page resumes can be easily scannable when section titles stand out and the two columns are well thought-out. 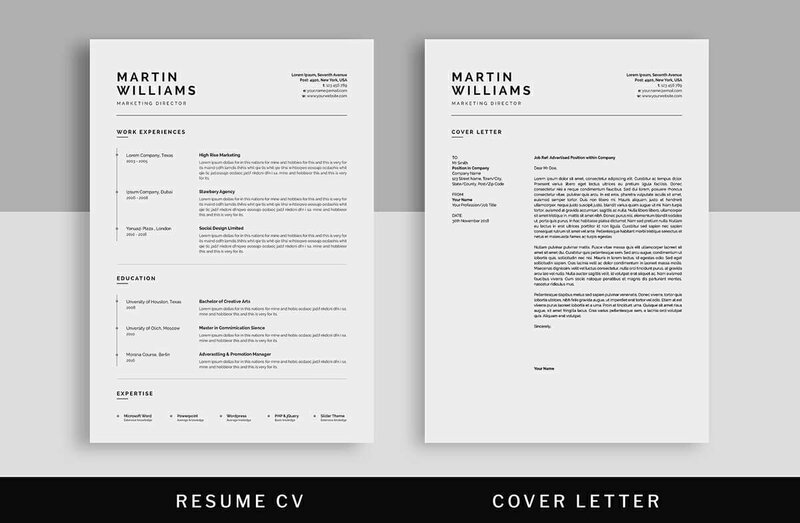 You can download this 2-column resume template in Word, as well as INND and PSD. “Minimal Resume CV” by UX-Group uses two columns in work experience and education sections, making it easier for you to keep your resume one-page without having to jam-pack your content. As a bonus, you’ll get a cover letter template and a ready-to-print business card. This one’s available in PSD, INDD, IDML, and DOC. 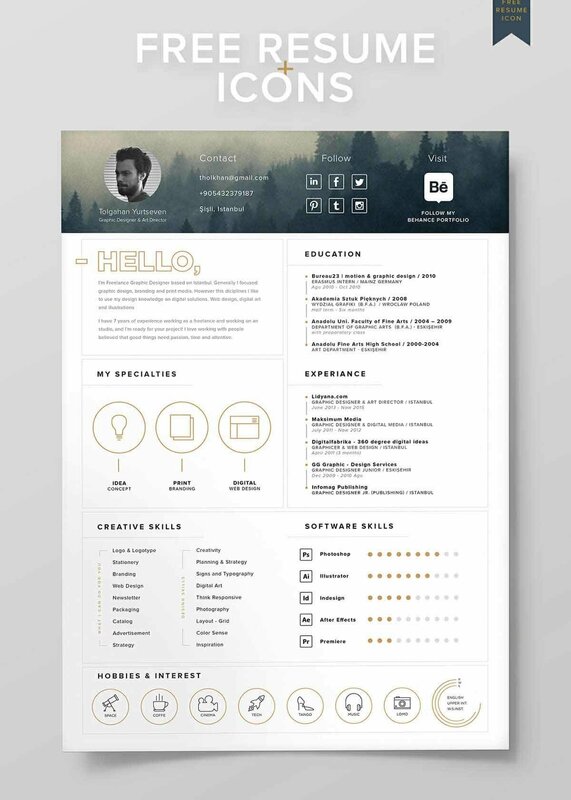 The first free two column resume template in our gallery has been created by Tolgahan Yurtseven. It’s a perfect balance between an informative and a creative resume. Plus, the use of trendy icons helps to guide the recruiter’s eyes to what you’d like to highlight the most. 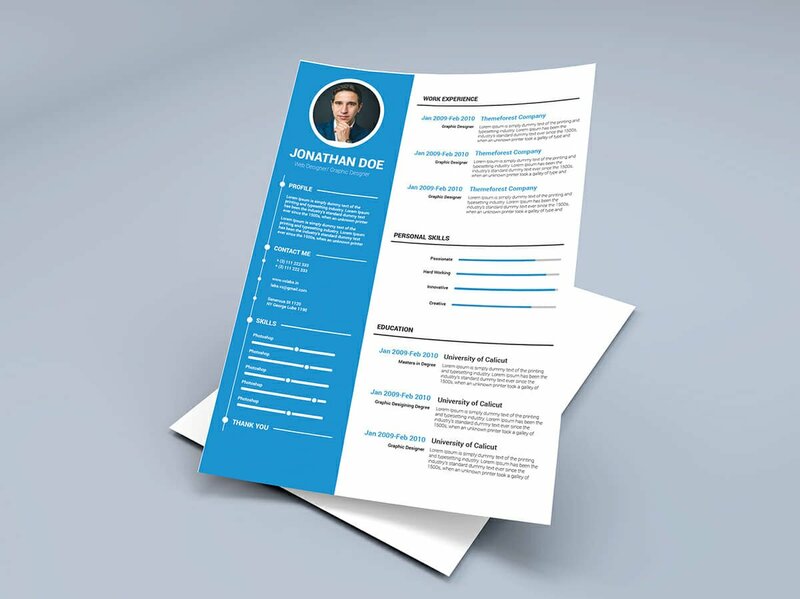 You can download this free double-sided resume for InDesign or Photoshop. How about the resume columns on this template? Some of its artistic features include: block rating system (for languages and skills), ribbon-style arrows preceding each section title, and a clean design throughout with numerous color combinations to choose from. “Modern” is included when you create a resume in our builder, along with many other two-column templates. This two sided resume created by Ahsanyaja Corp uses two symmetrical columns to help you save space, but it’s also very generous on the white space, giving recruiters some breathing room. 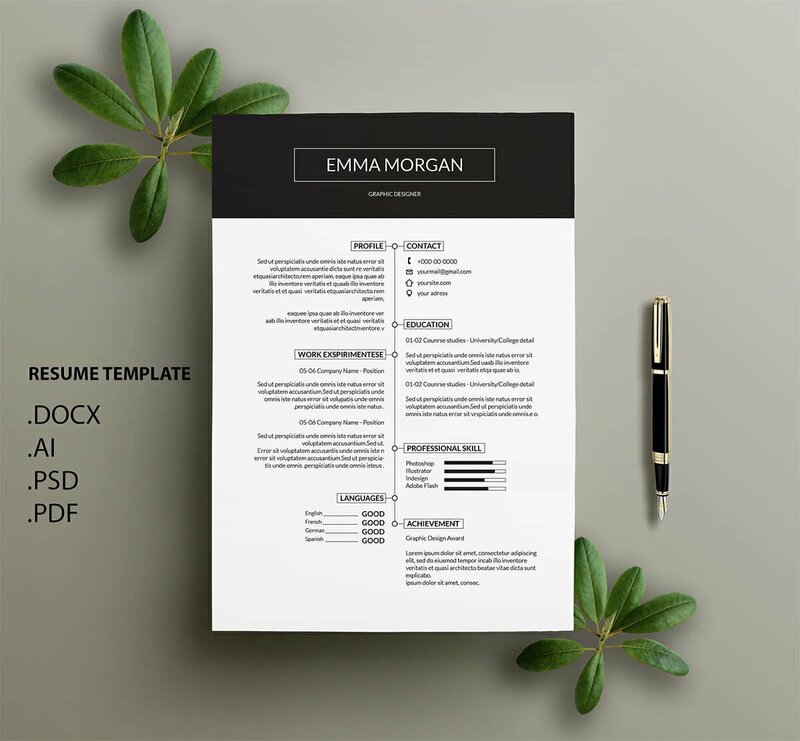 You can download this resume template in INND, PSD, and AI. 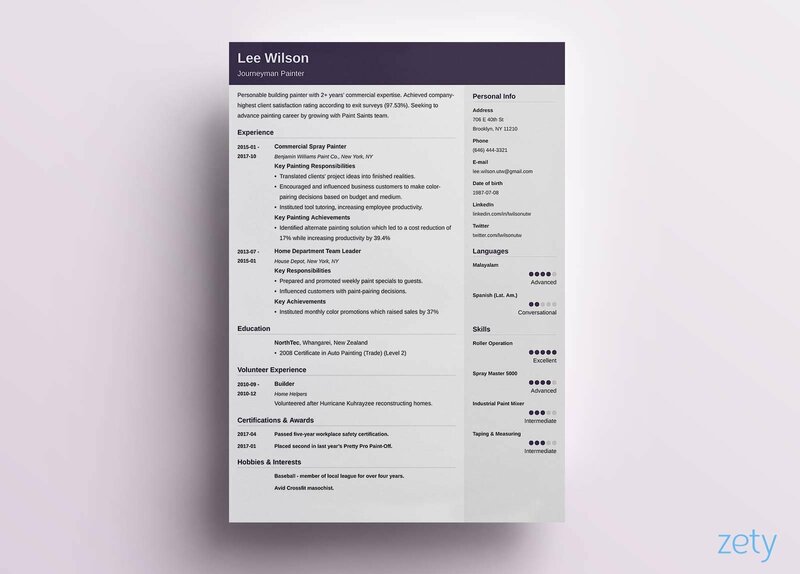 Here’s another one of ours, our take on a modern two column resume template. 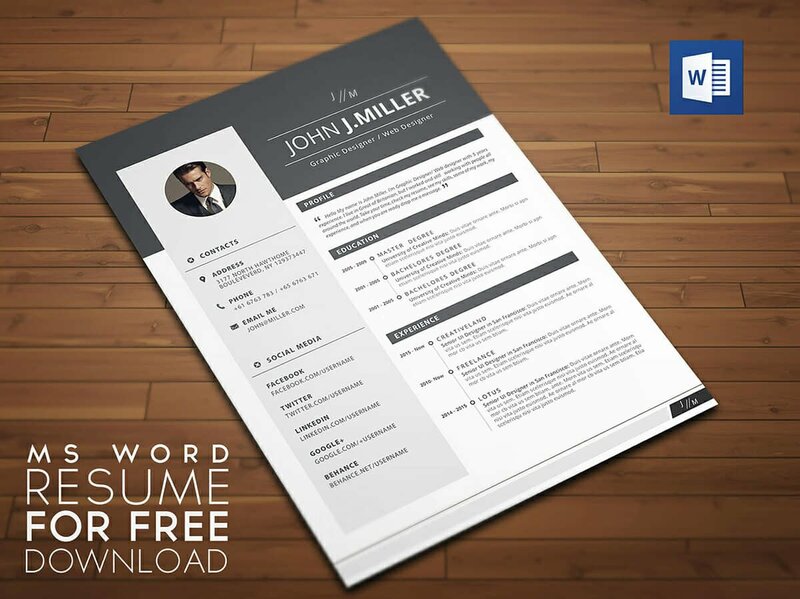 You can get access to this resume template when you create a resume in our builder. SHOWY 68 and Mee Hoang’s “Simple Professional Resume Template” delivers on what’s promised in its title. 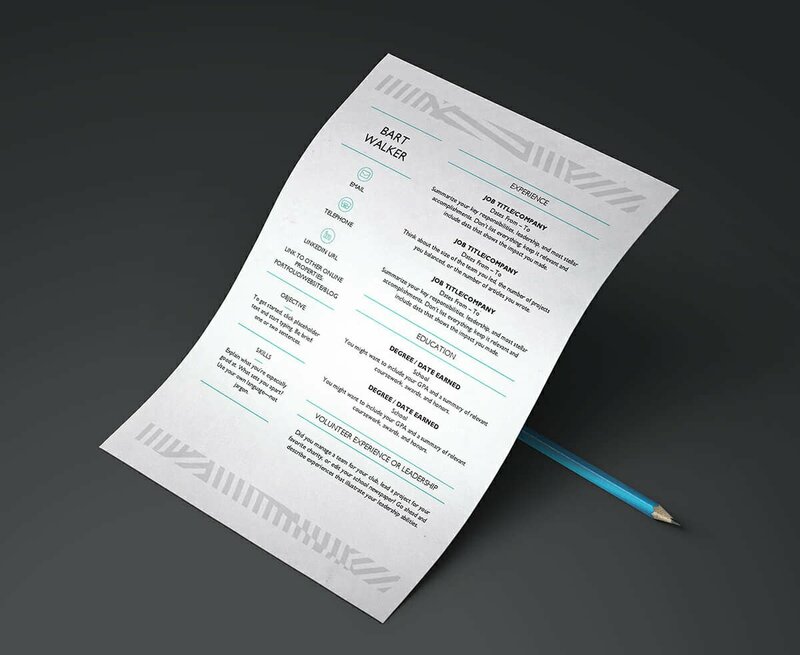 It’s got the right balance between a typical, formal resume design and a sprinkle of creativity. Here’s the link to this two column resume editable in Word, Illustrator, Photoshop, and InDesign. We’ve named this one “Vibes.” And what sort of vibes does it send, huh? Simplicity, they say, is the ultimate sophistication and here you can witness simplicity at its finest. A great two-column resume layout for corporate jobs and traditional industries. Get access to this template along with 20+ others in our builder. 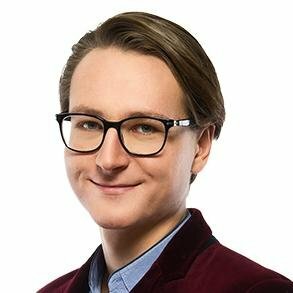 Another two-column resume on our list built around an axis right in the middle. SHOWY 68’s “Watercolor Triangle Resume Template” is a fantastic pick for job hunters seeking gigs in more casual industries. Here’s the link to this MS Word two column resume template. 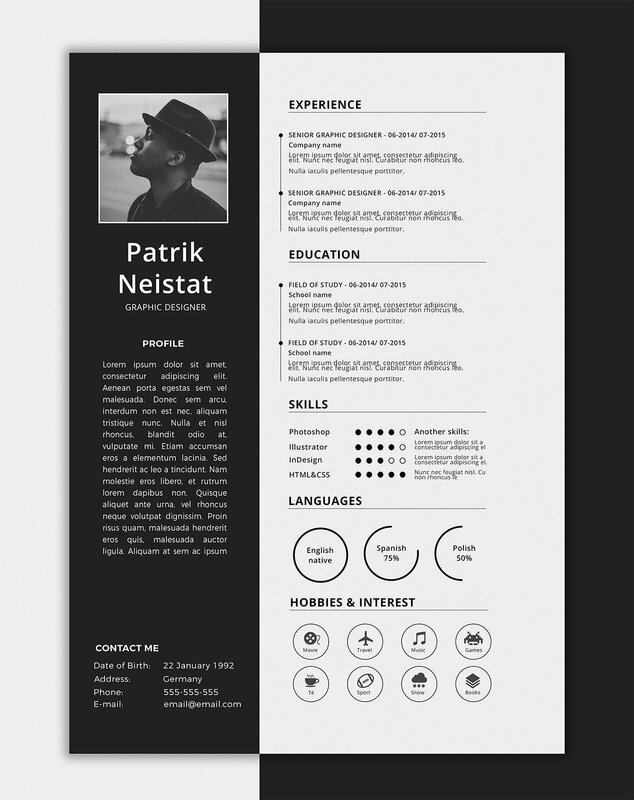 This free modern resume template for Word has been created by Sadique P on Behance. Notice how the two columns add a creative touch to this otherwise basic resume. Here’s the link to this free two-column resume for Word. Created by Microsoft in collaboration with MOO, a digital design company, this MS Word resume template is very neat, clean, and legible. Thanks to two distinct columns all sections are easily visible so that recruiters will know where to look for the most important information about you. 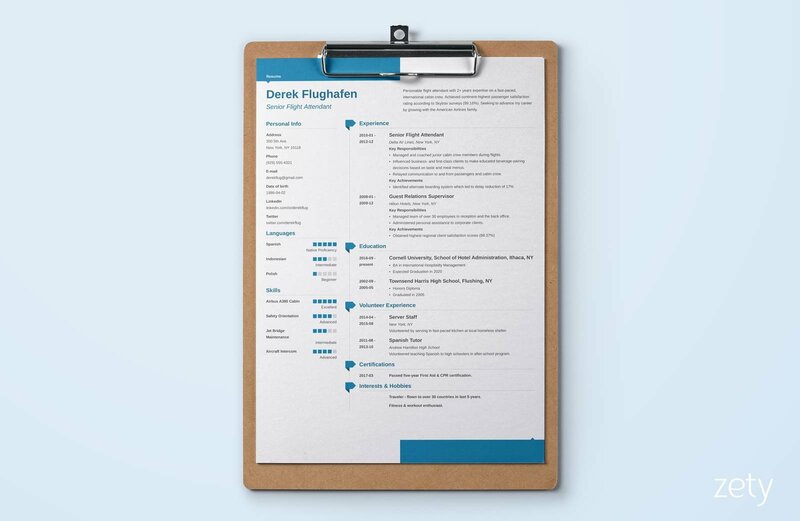 Another of our favorites—the clean Crisp resume template made using our resume builder. It’s got a left-hand side column, but a full-width header area up top for your name, title, and all-important resume summary or objective. Available in our resume builder. That’s how personal branding works on a resume! The header of this template immediately stands out from the rest of the text. The little personal logo grabs attention. Thanks to a neat footer, this could also be used for making a two-page resume. Another free 2-column resume for Word we’ve picked for you. 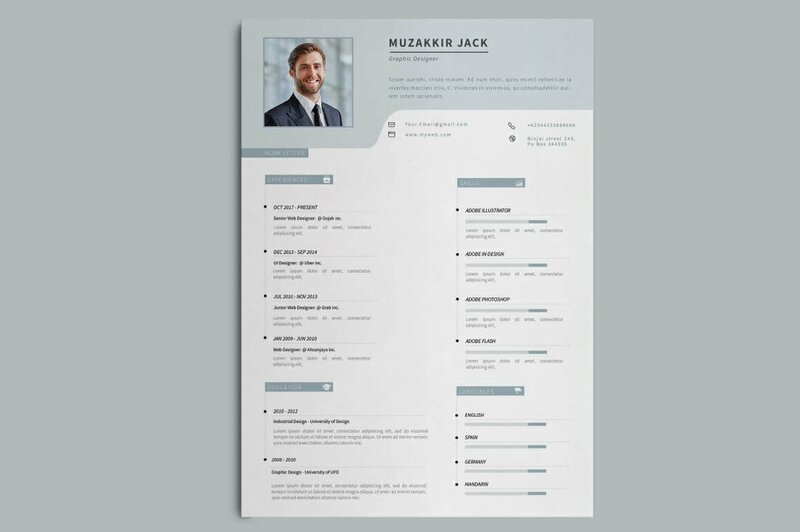 Two columns are below a distinct header which makes this resume design very fresh and dynamic. White space will guide recruiters’ eyes to where you want them to go, a little color here and there will make sure no information passes unnoticed. Last but not least: “Simple Resume” by Julio A. Ramirez De Freitas. Two contrasting columns will surely interest recruiters but they also make this template not ideal to print out on resume paper. Use it only for digital job applications. Here’s the link to this two column resume format. 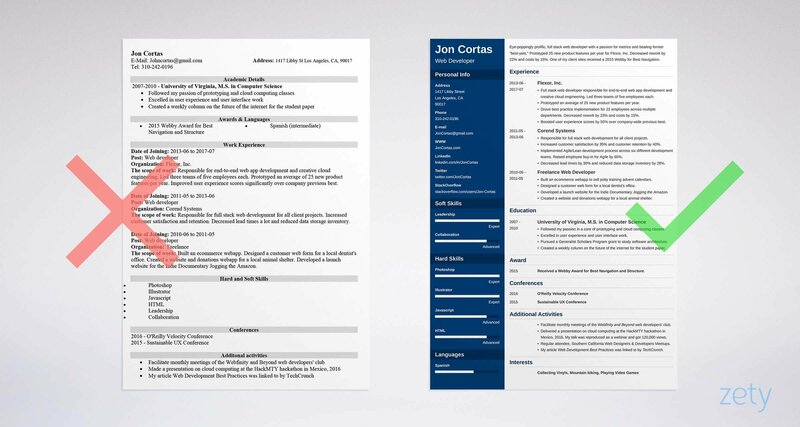 A two-column resume will help you save space and fit more contents into less pages. Remember, though, that not all resumes with columns will make it through the ATS scan. Finally, keep in mind that the contents of your resume matter much more than the design! Want to have a resume that lands you that dream job? Here’s a quick list of must-reads for you. Do you have any questions on choosing the best two-column resume template? Want to share your resume design inspirations and ideas? Give us a shout in the comments and we’ll get back to you!